In this post, I’m sharing with you free and trial software that will help you manage and automate all the key business processes that an SME owner or startup founder has to handle. SAP – Download and try the latest versions of Sapient Corporation’s analytics, CRM, data management, ERP solutions and more. Oracle Cloud – Get $300 in free credit to try Oracle Cloud services before you subscribe. Includes everything from MySQL and Oracle databases to IoT and private cloud networks. Tally – Download trial versions of Tally.ERP 9. It’s GST compliant, and you just need to do your accounting as usual, and your business is then GST ready. ClearTax – GST Billbook from ClearTax is ideal for small businesses who are just getting started. It has a free trial, and you don’t have to be connected to the Internet all the time to use it. Zopper – Zopper Retail is India’s top retail POS software. Includes everything from billing to inventory management, and consumer and retail finance and payments that can work on all your devices. It is GST ready and will work on the cloud with any accounting software or package that you are already using. 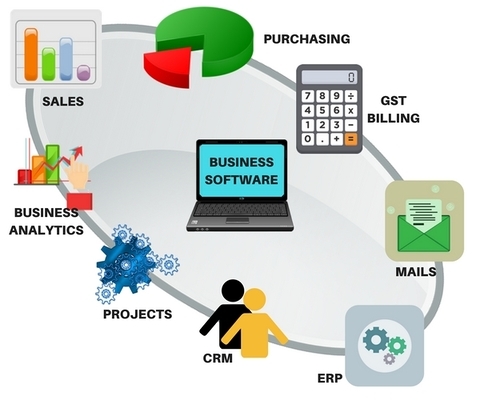 Ginesys – This is a GST ready retail software, which handles everything a retail business needs, from production to POS. 99Tests – Continuous software testing platform that puts the power of more than 20,000 crowd testers in over 150 countries. Ta3s – Ta3s provides best software test automation solutions which are affordable. Their experience in SAP and Oracle has helped customers gain immediate insight into implementation of quality deliverables and seamless deployment. Clarizen – Clarizen is cloud-based project management software for managing work and enterprise-wide collaboration. Wrike – Cloud-based collaboration and project management software that scales across teams in any business. Trello – Trello’s boards, lists, and cards enable you to organize and prioritize your projects in a fun, flexible and rewarding way. Asana – Use Asana to assign tasks, track updates and manage projects without having to wade through complex spreadsheets and multiple dashboards. Lucep – Your customers are looking for you. Click to call them back in under 60 seconds with amazingly simple callback technology. Pipedrive – Pipedrive is CRM for small teams. It’s a pipeline management tool that helps you focus on and initiate actions that matter, on time. Zoho – Zoho CRM is an online customer relationship management software for managing your sales, marketing & support in a single system. FREE for 10 users. Freshdesk – An online cloud-based customer service software providing helpdesk support with all smart automations to get things done faster. Zendesk – Customer service software and support ticketing system by Zendesk. Cloud-based help desk solution used by more than 200,000 organizations worldwide.